Let’s say this first — how wicked awesome are you if you can convince Bill Price (The Clash, The Jesus & Mary Chain) to come out of retirement to produce your album? The London quintet did just so for their fourth album release, Time Stays, We Go. a traveler’s tale of love and loss set to a spare arrangement. 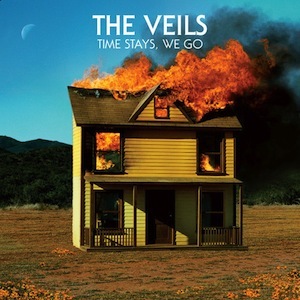 We are in love with this album and believe we will go anywhere The Veils ask us to.